So, I tried everything I thought of, but nothing worked. For some reason, I decided to try on Firefox (I usually use Google Chrome). It didn't work at first, but when I deleted all my Firefox cookies, it worked. The weird part is that when I tried again in Google Chrome (WITHOUT deleting any Chrome cookies), it worked too. I don't know what happened, but I'm glad it happened. I can finally submit scores and get medals again . First of all, GI can keep all the games here since the developers want their games to be published and spread on portals. Of course they want their games to spread everywhere. However, they also want the money that comes with it. Mochi used to display ads in the games and then gave part of the money to the developers. Since Mochi's shutdown, there are no more ads in the games, so the developers don't receive any money. That's why most developers will update their games to include other ads. But since Mochi is not there anymore to update the games on all the portals, the new ads will not be seen in the games. Developers will need to contact the publishers (or vice versa) in order to update the games on the portals. After that, everyone will be happy (the developers get money, the publishers get money, and the players have games to play). Otherwise, the developers will not be happy, but the others would be. (That's a simplification of how it works.) Tell me if I'm wrong (I haven't studied economics/business nor have I developed or published Flash games, so I might be wrong). What do you do when there is an evil you cannot defeat by just means ? Do you stain your hands with evil to destroy evil, or do you remain steadfastly just and righteous even if it means surrendering to evil ? I didn't understand one thing about all of this. People do want that their games get spread, mostly for money, but from where comes that money? Someone makes a game, and spreads it around websites putting ADS on it so they get money. We only watch the ads, but we don't give money, from where comes the money? Maybe the website manager who announces his website gives money everytime someone sees his ads? What does he do to get that money back? people only play games and you don't get anything from it except if people can buy in-game currency. There are no games from this website (I think) in where you can buy in-game currency, and the owner also spends his own money to give away SnD coins, how does one get profit from his website? DragonKnight, please don't go off-topic. But just so you won't have to make a topic elsewhere (and others who wonder won't have to wonder anymore): the company which owns the product being advertised pays the money to the game developer (indirectly). Why? Because some people might actually want the product after seeing the ad. Rather unlikely, but seeing how ads are everywhere, it probably does happen on occasions. EDIT : The solution below will no more solve the problem. Actually, it has become impossible to solve the problem anymore, since Mochi's servers are completely down. After further investigation with jaany2, we think that we have found the problem and how to solve the problem. The problem is caused by the Flash cookies Mochi uses. Flash cookies are not the same as normal cookies. They are used by Flash, and not directly by the browser. Therefore, they are not always deleted by the browser. However, they seem to have been deleted when I deleted my Firefox cookies, which made submitting work in Firefox. Since, these Flash cookies are used by all the browsers, when I tried to submit a score in Chrome (with the normal version of Flash), it worked too. 1) Go to "C:\Documents and Settings\YOURUSERNAME\Application Data\Macromedia\Flash Player\#SharedObjects" OR "C:\Users\YOURUSERNAME\AppData\Roaming\Macromedia\Flash Player\#SharedObjects" (don't forget to replace "YOURUSERNAME" by your computer username). 2) You should see a folder named randomly. Open it. 3) You should see a list of folders. Each folder represents a website that uses Flash cookies. For example, you should see a folder named "gameinterlude.com". 4) Find all the folders with "mochi" in their names and delete them. This will delete all the Flash cookies related to Mochi. 5) Go to your browser, clear your cache, and restart it. 6) Try to submit a score. It should work. If not, tell us here. Note 1 : programs like CCleaner that can "clean" your computer can, if some conditions are met, delete your Flash cookies. That explains why some old members could submit scores while others couldn't. New members could submit scores because they didn't necessarily have any Mochi-related Flash cookies yet. Note 2 : Mochi-related Flash cookies CAN appear after you solved the problem, but they most likely won't cause any trouble anymore. But those are just flash games we dont pay to play them. You have nothing to pay since you're not the client . Suppose a company that wants to advertise itself. It will give money to a publisher (for example, Mochi). The developer, who wants this money, gives his game to the publisher. The publisher makes sure the game is distributed on a lot of Flash game portals (for example, GI) so that the ads are seen by a lot of people. Each time an ad is seen or viewed, the publisher will give some money to the developer. Note that the publisher will always keep a bit of the money. How do owners of Flash game portals gain money ? From the ads on their own website (ads that are around the game directly on the website, not in game). - the company gives money in exchange of ad placement. - the publisher works on distributing the game in exchange of some money. - the developer creates the game in exchange of some money. - the Flash game portal owner host the games in exchange of money. - the players have games to play in exchange of seeing ads everywhere. It seems like submitting is not working anymore. I think the reason why it doesn't is that Mochi's servers are completely down now (they weren't before). Moreover, it is impossible to see the leaderboards in the games. We also obviously can't get achievements or medals. 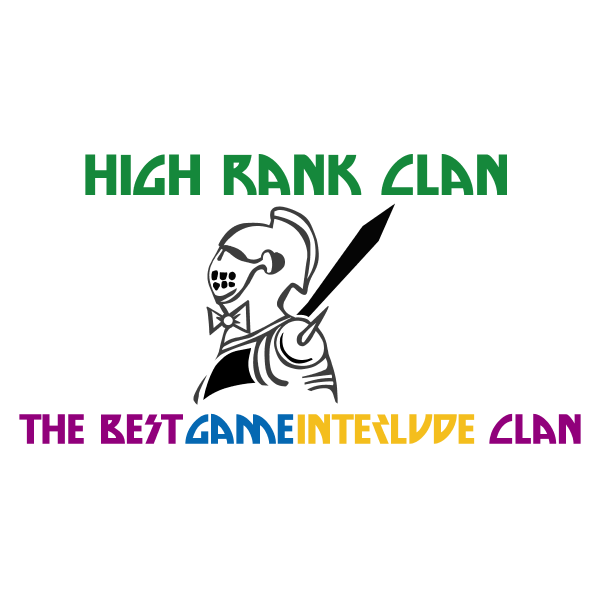 It also means that most clan contests as well as Clan Challenges are impossible to make. Therefore, GI needs to have another way to handle leaderboards/medals/achievements. Your explanation sounds logic in my eyes. There are multiple points which would confirm this. We talked already before about it, the servers weren't completely down. The mochimedia page had still an announcement after the shutdown or that when you visited mochigames.com, you were intantly brought to the internet page of the Chinese company who bought Mochi Media. But now all the sites are all completely unavailable. And well, since some others also confirmed that they can't submit scores anymore, we can be sure that the Mochi servers are completely down now. So like you said, for now this means no more highscores, achievements, medals and clan challenges. We can only hope now that Baritone will be back here soon and finds an alternative to Mochigames. Everyone is still figuring everything out. I know that some developers are starting to add GamerSafe highscores to their games. The transition will take time, that's for sure.